The Scribe Code is your capacity to be plugged in to your higher self and connection with Source always and in all ways. indecisiveness, overwhelm, confusion, doubt and the 5 top scribe blocks (see below). over thinking, pros and cons list, over planning, worrying. giving away your power of knowing what is best for you to someone else. accessing the higher vibrations and wisdom naturally. being deeply connected to your knowing. Join Thoth 100% Embodied for this 33-minute audio transmission to access the Scribe codes, which are a part of your Universal Divine Design (innate within you as a Birthright). 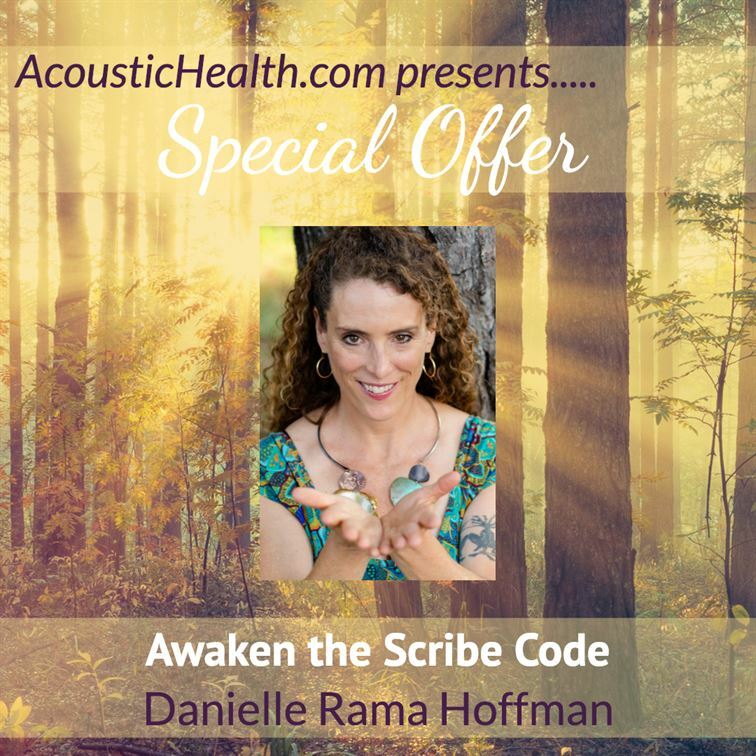 Awakening your Scribe Code supports you to shift from an on/off connection to a full-on connection with your Divine knowing. awaken your Divine capacity to scribe to ignite your Scribe. recall your birthright of the Scribe. access and bring forth consciousness from higher dimensions into form (connected to Divine Wholeness). Transcend thoughtforms of doubt, hesitating and holding back into KNOW & GO. Receive direct hand, eye, and energy transmissions from Thoth to ignite your Scribe Code. KNOW & GO. Scribing is a way of life when you have a question, a decision to make, something you are choosing to create tap into your Scribe Code and emerge with guidance. Afraid you’re going to have “Scribers Block”? Join this LIVE 75-minute zoom to bust through the top 5 scribing blocks. This thorough deprogramming of the doubts, fears, overlays and separations of the top five tribal consciousness beliefs is an essential key to elevate your Scribe consciousness. Join this Illusion Buster Jam Session with Thoth and COMPLETE THESE ILLUSIONS! Fear of being seen, disappearing, hiding, playing small. Fear that you are going crazy or making this up. Fear of doing harm (fear of YOUR POTENCY). The myth that the ego must be gotten rid of and you can’t have personal gain from your scribing. Illusion that higher wisdom has to be kept secret. Join Thoth, The Council of Light, Isis, Archangel Michael, Mary Magdalene and other Ascended Masters for 22 Initiations to awaken your Infinite Self so you can complete patterns of separation consciousness (lack, fear, holding back) and live from Unity Consciousness (abundance, love, and connection). What would be possible if you had an unwavering connection to Source and the ability to easily access your intuition? Imagine all the ways your life could be transformed when you Super Charge Your Divine Connection. This evolutionary program with the Ascended Masters and begins and ends with a 60-minute audio initiation to create a deep connection to your soul. As well as to amplify one booster state of frequency that supports your Divine connection—appreciation. Join Thoth and the Council of Light in this innovative masterclass to harness your energetic potency as a Creator Being. You are Divine, you are multidimensional, you have been on a path of conscious evolution for eons. The old forms of creating through struggle, trying to figure it out, and from the vibration of lack are outdated. Now there is a deep call for innovators and pioneers of consciousness to come together and bring forth your unique Ascended Mastery into the world. Identify a Conscious Creation that your higher-self is choosing to actualize that is a contribution to your evolution in consciousness. Partner with Light Beings to access unique streams of energy and frequencies from across the Multiverse that are super fertile accelerators for the blueprint of your creative project to come into form. Finally, be moving beyond your inner struggle between what you were told were the “right” ways to create and what you actually know is your unique way to create. Receive Light Language, energy transmissions and Akashic Records readings for the group. Have a place where you are seen, loved and valued for the contribution you are to the evolution in consciousness. Leave this two-hour experience with a deep sense of fulfillment that you have taken important inspired action towards consciously creating the highest expression of your incarnation. Now is the time, we look forward to seeing you there. Access the written summaries, lessons, meditations and guided initiations to embody and integrate your Supercharged Divine Connection. Plus, you add this course to your permanent library so you can use the written materials for quick access to dive back in deeper to a certain subject that speaks to you.